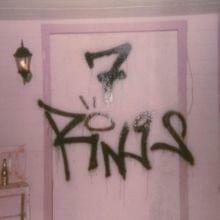 Ariana Grande is at it again with her new hit single “7 Rings”, a clear relation to her previous hit single “thank u, next”. While both singles controversially caught the attention of fans and cynics alike, Grande’s most recent hit earned much flack. With the theme of living the life of luxury and being so rich that getting whatever you want is as easy as blinking, “7 Rings” was criticized to mirror the works of rappers 2Chainz and Soulja Boy. Admittedly, “7 Rings” is extremely different than any other song Grande has released. Critiques included cultural appropriation, copyright issues and sounding like she is simply talking/rapping throughout the song. If you are someone who listens to music with a neutral mindset and doesn’t paying attention to criticism or praise, you will appreciate the fun and free road the listener is taken down. The song makes you feel wealthy beyond compare while at the same time making you feel as poor as can be, all in the span of three minutes. With the lyric “whoever said money can’t solve your problems, must not have had enough money to solve ‘em”, you can’t help but feel powerful and powerless all in one go. What other song can make a person feel such a high and low simultaneously? Of course, not everyone will like this style of song from Grande. But honestly, if you just listen to the music and simply enjoy the song, “7 Rings” is great to dance, be free and let go; no drama included.